Horse Haven Montana (HHMT) was established in 2007 in response to a growing nationwide crisis of homeless horses or those who for whatever reason, were in need of new homes. The reasons were many (and continue to be) but the economy is one of the most significant factors in the need for equine rescue and adoption. Horse Haven Montana is a 501c3 not for profit all-volunteer organization. Our goal is to improve the welfare of equines. Our emphasis is on finding permanent adoptive homes for horses in need — permanent, loving, responsible, forever homes; and education – education, understanding and awareness about what it means to be a responsible horse owner and helping people to accomplish that. But our primary focus is rescue and adoption. A variety of factors have made horse ownership challenging and for some, no longer feasible. Beyond the personal situations we see frequently, the growing problem of unwanted or homeless horses is sometimes fueled by other factors. If a horse doesn’t “measure up,” either because of conformation issues, poor performance, advancing age, or illness, an owner sadly may want to dispose of that animal. That is always a personal decision. But we believe there are viable, ethical alternatives and that adoption is one of them. When we do a rescue, sometimes the horse is in an immediate crisis; sometimes a horse or horse owner is in need of immediate assistance. Regardless of the reasons, our focus is on immediate help. How can we solve the problem for both the equine in need and the owner in need of a solution? By the time we arrive on the scene, the key issue is getting the animal out of the bad situation and into a good home. If an immediate home is not possible, we look for the best possible temporary solution until a permanent home can be found. Education too is another factor in why a horse may need to be re-homed. While there are many wonderful training programs and clinics, there is still a great lack of information and understanding about our equine companions. For all of these reasons and many more, HHMT was established. Horse Haven Montana is a registered 501c3 not for profit charitable organization, incorporated in the state of Montana. Our work and our outreach however, may take us all over the country and we have a nationwide network of contacts. Horse Haven Montana relies solely on donations and grants to support our efforts. Although cash donations are the most helpful, other donations are welcome as well. An individual may donate tack (as in a saddle or a blanket); feed, as in a special supplement or senior feed; even a trailer — all greatly help our efforts. Our most frequent need however is financial contributions to support our veterinary, special feed and medical care, transportation and to assist equine foster homes. 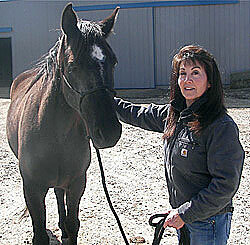 Horse Haven Montana’s sole focus is rescue, adoption and education. Most importantly, we are here to help; or we try our best to help as best we can, as much as we can. We do take in a limited number of horses but we try to place as many as we can while they are with their current owners or in foster homes. unless there is a crisis and then we work to remove the horses and place them in temporary situations. Occasionally, we do an emergency rescue and either take a horse(s) to our ranch or place it into a foster home. While we know that realistically we cannot solve every problem, every crisis or find a home for every horse in need, we do make every effort to help both the horse and its owner, as much as possible, if at all possible. referring you, or aiding with the placement of your horse or by finding a good alternative to giving up a horse. The goal of Horse Haven Montana is to enhance the welfare of the horse and its human owner and to enhance the equine/human bond. There is no magic solution but we will always aim for the best outcome possible. We work with and have several trainers standing by to help when they can and we have foster homes. If you are interested in being considered as a foster home, if you have something to offer that you feel will help, if you are able to donate—services, tack, hay, feed, or even a cash donation, we are always very appreciative. A horse is a huge commitment of time, financial expense, and responsibility—a commitment of understanding and care. A well-meaning person might get a horse only to discover, it doesn’t fit into their lifestyle or their expectations. Sometimes, a horse is no longer wanted, needed or capable of being cared for. Financial situations change and owning a horse is expensive. What happens then? Our primary goal is to rescue and place good horses that are adoptable into loving, forever homes. But we care for them until a good home is found. We keep the number of horses in our ranch care limited in order to have the best means possible to care for them indefinitely. This means high quality grass hay, supplementary feed as needed, veterinary care and good living conditions with daily attention, grooming, training, hoof trimming and health care as needed. Most horses eventually become available for adoption after a thorough review and interview process. Our adoption fees (donations) are kept deliberately low, much lower than a typical market price for a good horse. But the fees are designed to both ensure a financial commitment to a particular horse and to help put resources expended by HHMT, back into the program. This is our primary source of support. Because we are a 501(c)3 not for profit, charitable organization, if you wish to make a donation or if you wish to help support or sponsor a particular horse or help out in some other way – we welcome any support. Even something like artwork is helpful, as the sale of this can be used for the support of our efforts. PLEASE NOTE: Our boarding facility for temporary, overnight care is entirely separate from our rescue and adoption organization located near Frenchtown, Montana — just west of Missoula in the heart of western Montana. We are very close to Interstate 90, making it convenient for travelers going east or west through the Missoula Valley. In the future, we will offer only short term boarding through Horse Haven Boarding LLC, which can be an overnight, a week-long stay, or month-long boarding, but we are not a full time boarding facility. 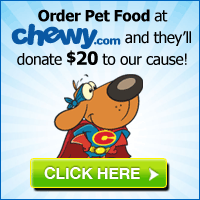 Our emphasis is on rescue and adoption, education and temporary care for equines in need. Thank you! I am in the process of applying to adopt a horse from Horse Haven. 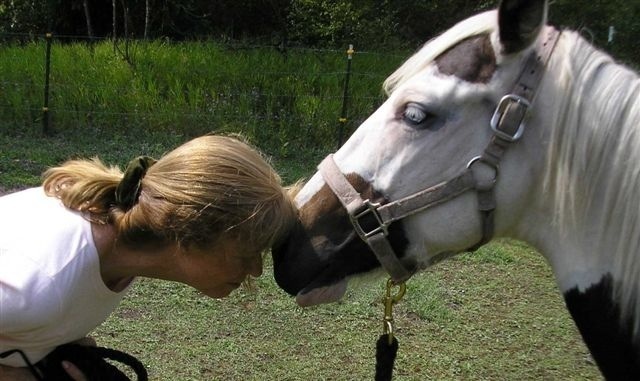 I lost my horse a while back (medical) and now look forward to love and care a new friend . Will send my application and pictures the end of this month.